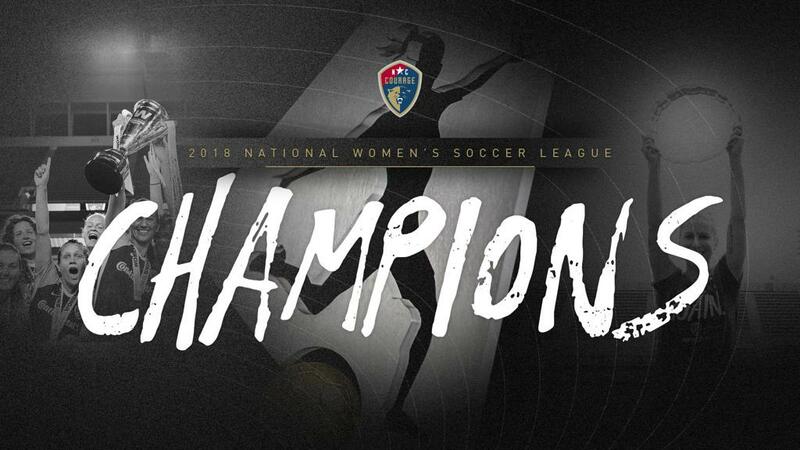 PORTLAND, Ore. (Sept. 22, 2018) –The top-seeded NC Courage capped off a historic season on Saturday night with a 3-0 victory over second-seeded Portland Thorns FC to win the NWSL Championship. With the victory, the Courage cements its status as the best professional women’s soccer team in the United States – and possibly the world. In 2018, the Courage claimed a historic treble, winning the Women’s International Champions Cup, the NWSL Shield and the NWSL Championship, breaking multiple records along the way in the most dominant and most successful U.S. women’s professional soccer season to date. In a match filled with intensity from the opening kick, it didn’t take long for the sides to begin creating chances. In the 13th minute, the Courage broke the deadlock with an early goal. Lynn Williams found space down the flank and whipped a shot past Portland goalkeeper Adrianna Franch. The ball rebounded off the crossbar and fell into the path of a wide-open Debinha, who headed the ball into the open net. The teams traded opportunities for the rest of the half, and just before the halftime whistle, the NC Courage made Portland pay for another defensive lapse. Jaelene Hinkle sent a cross past the Portland backline and Jessica McDonald ran unmarked to the ball and headed in the goal by a stranded Franch. Out of the halftime break, Portland produced a flurry of chances, but the Courage defense held strong before clinching the match with another clinical finish. In the 64th minute, off a corner kick, Abby Dahlkemper played a short pass to Sam Mewis who fed Merritt Mathias at the top corner of the 18-yard box. The defender then played a cross through the middle of the box that found McDonald. The forward tucked home her second goal of the night with a well-placed header to ice the game. With a 3-0 lead intact, the Courage defense buckled down and turned away Portland for the final 26 minutes to earn the team’s 13th shutout of the season and complete the playoff run with zero goals allowed. The NC Courage have won three trophies this season – the Women’s ICC title, the NWSL Shield and the NWSL Championship. The 3-0 win was the largest margin of victory in an NWSL Championship game ever. The NC Courage avenged last season’s NWSL Championship loss to the Portland Thorns. In total, the Courage went 4-0-0 against Portland in 2018, outing scoring the side 10-2 over the 2018 series. The game was played at a sold-out Providence Park with a crowd of 21,144. Portland was shutout at home for the first time since May 29, 2016. ©2019 North Carolina Courage / SportsEngine. All Rights Reserved.